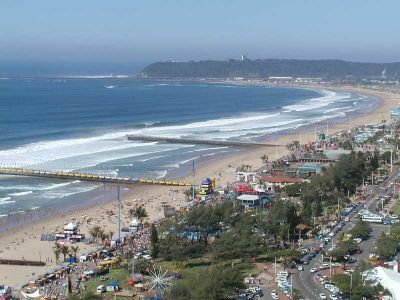 KwaZulu-Natal also referred to as KZN or Natal) is a province of South Africa. 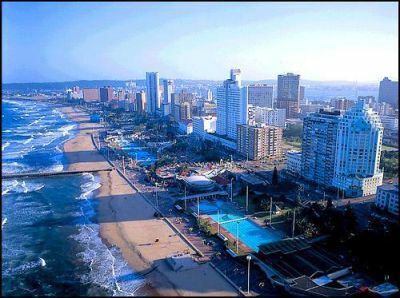 Prior to 1994, the territory now known as KwaZulu-Natal was made up of the province of Natal and the homeland of KwaZulu.In the 1830s, the northern part was the Zulu Kingdom and southern part was briefly a Boer republic called Natalia (1839–1843). 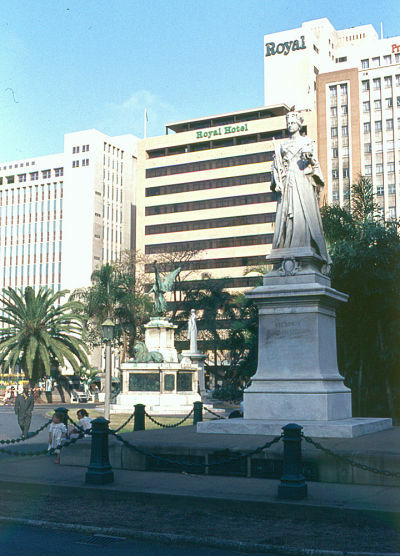 In 1843, the latter became the British Colony of Natal; Zululand (KwaZulu in Zulu) remained independent until 1879. 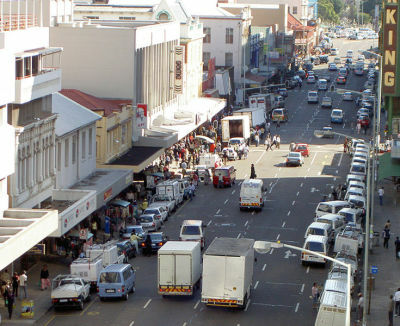 This region is the birthplace of many notable figures in South Africa's history, such as Pixley ka Isaka Seme (founder of the African National Congress and the first Black lawyer in South Africa), John Langalibalele Dube (founding president of the ANC), Mangosuthu Buthelezi (founder of the IFP), Chief Albert Luthuli (ANC president and the first African to be awarded the Nobel Peace Prize), Anton Lembede (founding president of the ANC Youth League), Jacob Zuma (Current President of South Africa), and Bhambatha.It is called the garden province and is the home of the Zulu nation. 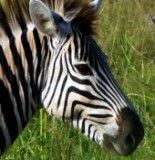 Two natural areas: the iSimangaliso Wetland Park and the uKhahlamba Drakensberg Park, have been declared UNESCO World Heritage Sites. 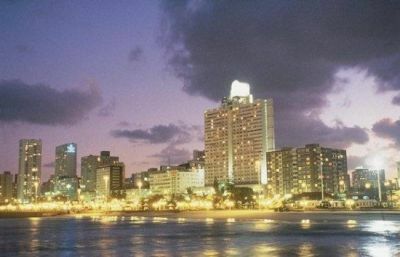 Located in the southeast of the country, the province has a long shoreline on the Indian Ocean. It borders three other provinces and the countries of Mozambique, Swaziland, and Lesotho. 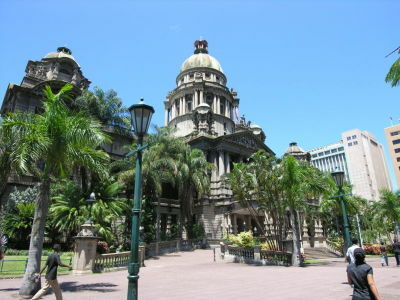 Its capital is Pietermaritzburg, and its largest city is Durban. 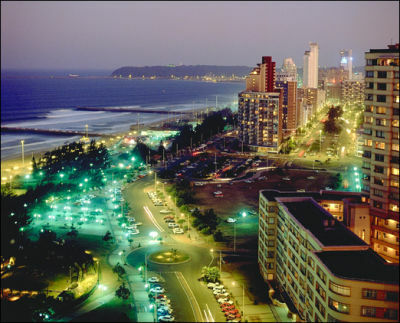 At around 92,100 km in area, Kwazulu Natal is roughly the size of Portugal. 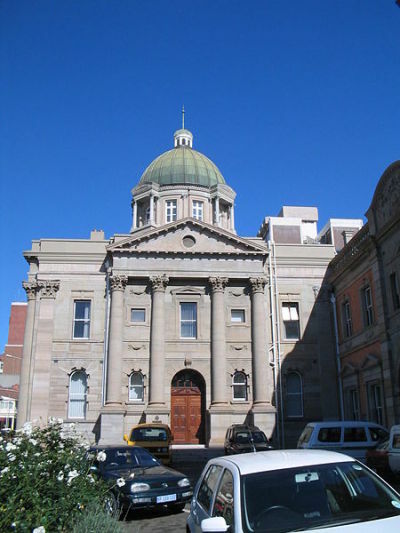 The province has three different geographic areas. The lowland region along the Indian Ocean coast is extremely narrow in the south, widening in the northern part of the province. The central region is the Natal Midlands, an undulating hilly plateau rising toward the west. 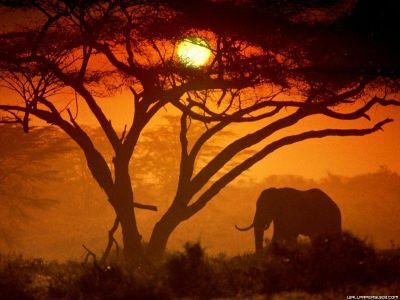 Third are the two mountainous areas, the Drakensberg Mountains in the west and the Lebombo Mountains in the north. 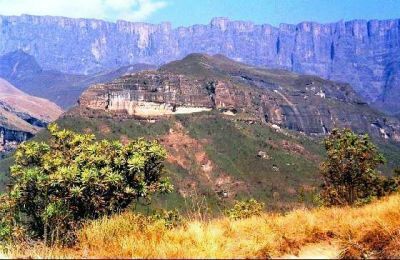 The Drakensberg range forms a solid wall of basalt rising over 3,000 m (9,800 ft) near the Lesotho border, whilst the Lebombo Mountains are ancient granite mountains, forming low parallel ranges running southward from Swaziland. The Tugela River flows west to east across the center of the province and is the region's largest river. 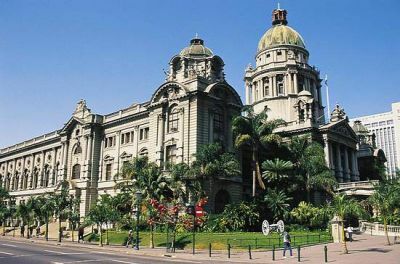 The coastal regions typically have subtropical thickets and deeper ravines; steep slopes host some Afromontane Forest. 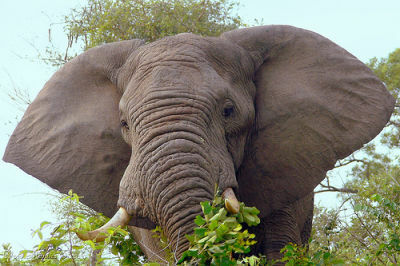 The midlands have moist grasslands and isolated pockets of Afromontane Forest. 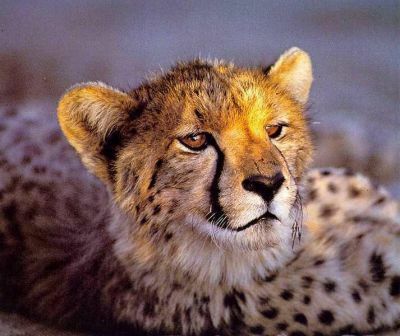 The north has a primarily moist savanna habitat, whilst the Drakensberg region hosts mostly alpine grassland.The province contains rich areas of biodiversity of a range of flora and fauna. 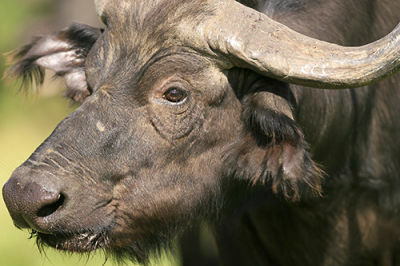 The iSimangaliso Wetland Park and the uKhahlamba Drakensberg Park have been declared UNESCO World Heritage Sites. 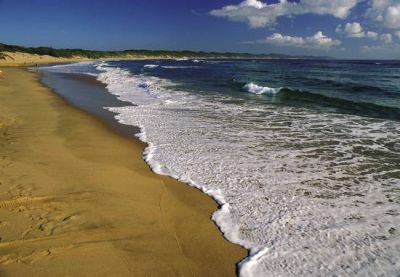 The iSimangaliso Wetland Park, along with uKhahlamba Drakensberg Park and Ndumo, are wetlands of international importance for migratory species, and are designated as RAMSAR sites. South Africa signed the 1971 RAMSAR Convention to try to conserve and protect important wetlands because of their importance to habitats and numerous species. 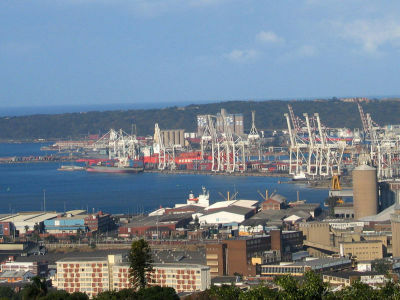 The former Eastern Cape enclave of the town of Umzimkulu and its hinterland have been incorporated into KwaZulu-Natal following the 12th amendment of the Constitution of South Africa. 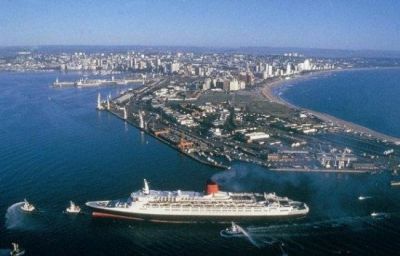 The amendment also made other changes to the southern border of the province.The coastline is dotted with small towns, many of which serve as seasonal recreational hubs. 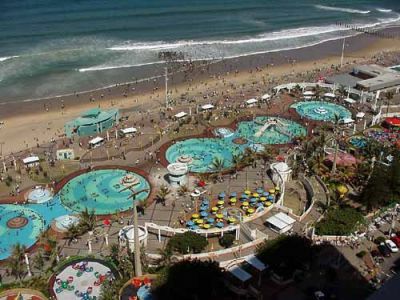 The climate of the coastal areas is humid and subtropical, comparable to southern Florida in the United States, but not quite as hot and rainy in the summer. 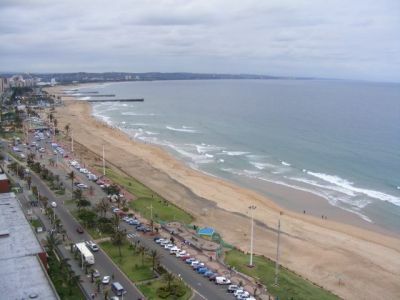 As one moves further north up the coast towards the border of Mozambique, the climate becomes almost purely tropical. 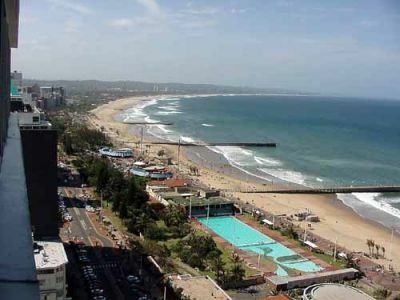 North of Durban is locally referred to as "The North Coast", while south is "The South Coast". 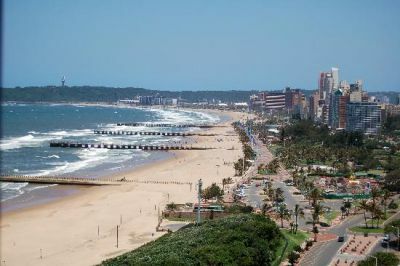 The Kwazulu-Natal Tourist board includes towns such as Margate, Port Shepstone, Scottburgh and Port Edward in its definition of the South Coast, while Ballito, Umhlanga and Salt Rock are North Coast resort towns. 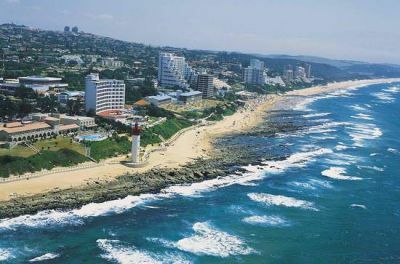 Beaches of world-class quality are to be found along virtually every part of South Africa's eastern seaboard, with some of the least-developed gems found in the far southern and far northern ends of the province. 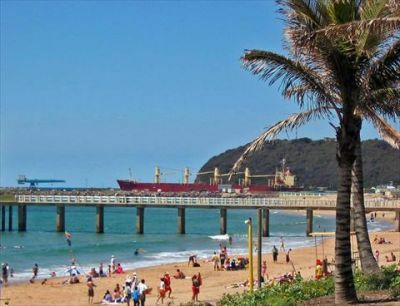 Marina Beach and its adjoining resort San Lameer, was recognised in 2002 as a Blue Flag beach.Some visitors come for the annual late autumn or early winter phenomenon on the KwaZulu-Natal coast of the "sardine run". Referred to as "the greatest shoal on earth", the sardine run occurs when millions of sardines migrate from their spawning grounds south of the southern tip of Africa northward along the Eastern Cape coastline toward KwaZulu-Natal. They follow a route close inshore, often resulting in many fish washing up on beaches. The huge shoal of tiny fish can stretch for many kilometres; it is preyed upon by thousands of predators, including game fish, sharks, dolphins and seabirds. 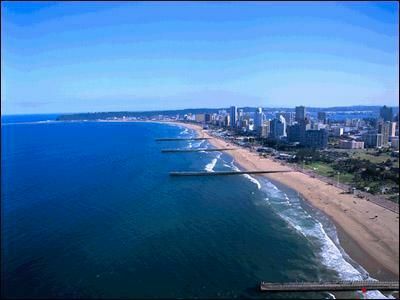 Usually the shoals break up and the fish disappear into deeper water around Durban. Scientists have been unable to answer many questions surrounding this exceptional seasonal event. Vasco da Gama of Portugal saw the coast of Natal on Christmas Day 1497. Natal is the Portuguese word for Christmas which gave rise to the European name for the region. 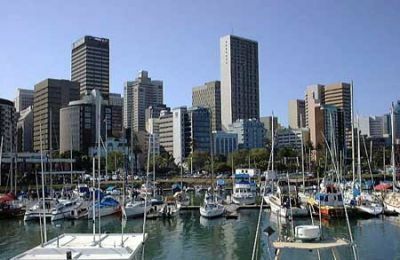 The area was occupied centuries ago by the Nguni branch of the Bantu.The first European settlers established a trading post called Port Natal in 1824 ,these were mostly British settlers. 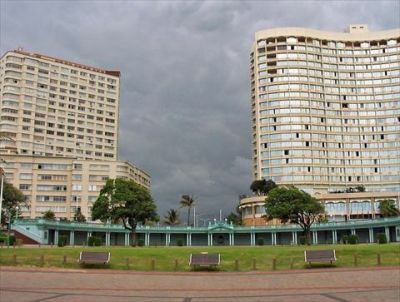 These settlers made almost no attempt to develop the interior, whose inhabitants had been decimated by the Zulu chief Shaka (also spelled Chaka). 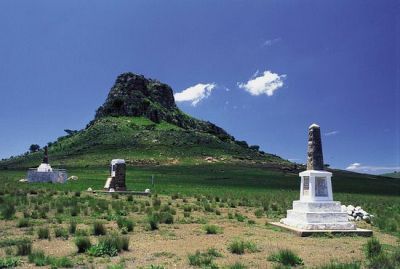 The Afrikaner Voortrekkers entered the area via the Drakensberg passes in 1837. These Afrikaners defeated the Zulus at the Battle of Blood River in 1838 and thereafter established the Republic of Natal. 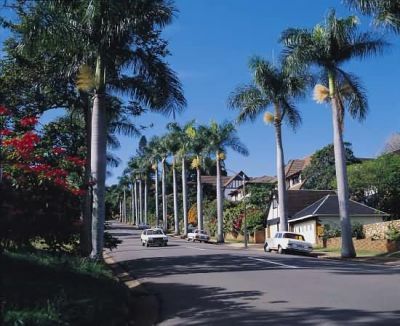 Thus, the territory was once part of a short-lived Boer republic between 1839 and 1843 until its annexation by Britain .Many Afrikanner inhabitants left for the interior after the annexation and were replaced by immigrants, mainly from Britain. From 1860 onward, increasing numbers of Indians were brought in by the British mainly to work in the sugar plantations on the coast. The colony acquired Zululand (the area north of the Tugela River) after the Zulu War of 1879. The lands north of the Buffalo River were added in 1902. Boer forces entered the area during the South African War (1899 to 1902) – also known as the second Boer War- and laid siege to Ladysmith. They failed to build on their initial advantage and for three months the line between the opposing forces followed the course of the Tugela River. 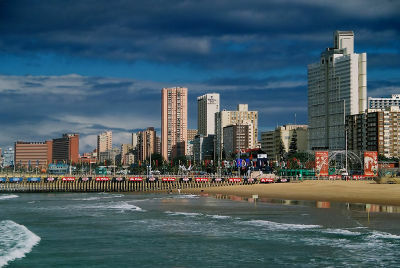 In 1910 the colony became a province of the Union of South Africa and in 1961 of the Republic of South Africa.When the homeland of KwaZulu, which means "Place of the Zulu" was re-incorporated into the Natal province after the end of apartheid in 1994, the province of Natal, which had existed between 1910 and 1994, was renamed KwaZulu-Natal. 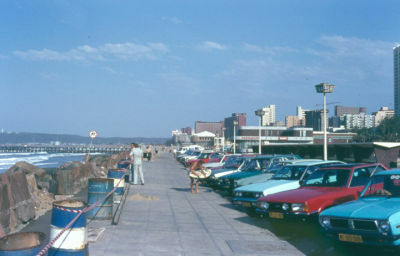 The province is home to the Zulu monarchy; the majority population and language of the province is Zulu. 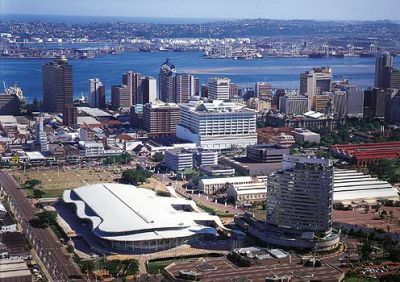 It is the only province in South Africa that has the name of its dominant ethnic group as part of its name.The supporters, the lion and the wildebeest, are symbols of the regions that were joined to create KwaZulu-Natal, KwaZulu and Natal, respectively. The zig-zag stripe is representative of the Drakensberg.The star represents the coastline, named Natalia by Vasco da Gama on Christmas day, 1497, as well as the Zulu myth that the Zulu people are "people of heaven" or "star people".The strelitzia flower on the shield is a symbol of the province's beauty.The assegai and knobkierrie behind the shield represent peace and protection. The crown base is a headring, traditionally worn by Zulu elders and representing wisdom and maturity. The crown is a round grass hut built in the Zulu style. The motto is Masisukume Sakhe, Zulu for "Let Us Stand Up and Build.